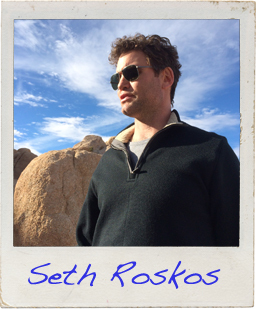 Seth Roskos lives with his wife and twin sons in Los Angeles, California. When he’s not trekking through Joshua Tree National Park, a matrix of dingy Los Angeles alleyways or the Boulevard of Broken Dreams, he can typically be found belting out Katy Perry songs at the top of his lungs from the driver’s seat of a red Prius, his vision blurred by tears of blissful grief. Read the first page of Seth’s story!